Over at Facebook, my friend Stroppy Bird keeps asking me (for reasons I have yet to fathom) whether I have any pictures of cats. Not just ‘cats’, but the Benny Goodman Orchestra and lindy-hopping as well! The recording date was June 12, 1944. The trumpet section consisted of Billy Butterfield, Mickey McMickle and Charlie Shavers, with Cozy Cole on drums. Above: Class Monitor Tim is showing the new boy Cuthbert Cringe-Renton around the school. About a week ago, at a gig, someone told me Horace Silver had just died. I must admit that my immediate reaction was surprise: I’d assumed he’d died years ago. It turns out we were both wrong: Horace lives. For some reason that has yet to be explained, a number of jazz sites and discussion boards last week carried the exaggerated news of the pianist’s death, and many have since published grovelling apologies. So Mr Silver, the founding-father of hard-bop and jazz-funk, joins the surprisingly long list (headed, of course by Mark Twain) of people who lived to read their own obituaries. Strangely, that list includes another jazz pianist, Michael ‘Dodo’ Marmarosa (who’d worked with many of the great swing bands before joining Charlie Parker): his obituary appeared in a number of newspapers in 1992, ten years before his actual death. The explanation was that a persistent fan of his records – a Briton who lived in the Pittsburgh area where Dodo was leading a reclusive life – kept telephoning him to ask about the details of old recordings and demanding an interview. In order to put an end to this intrusion, Marmarosa answered the telephone with an assumed voice and announced that “Mr Marmarosa passed away yesterday”. Politicians trying to sound like hep cats are always amusing. And as Anthony Blair Esq eventually found out, they usually end up looking like pillocks. “Yesterday’s announcement drew attention to the city’s long list of high achievers, although one of them reacted badly when named by David Cameron during Prime Minister’s Questions. Mr Cameron cited Hull’s ‘fantastic record’ in popular music. ‘I remember some years ago that great Hull Housemartins album London 0, Hull 4,’ he said. It’s official! We’re the 28th worst political blog! It’s the list no one has been waiting for. And, sadly, it’s proven to be something of a damp squib. Cast your mind back to last month when this blog excitedly solicited votes for the 2013 poll of the UK’s worst political blogs. Unfortunately, the votes didn’t pile in and the mini-viral from last time I tried this didn’t take off. I have some super serious theories why, but that can wait for a proper blog about blogging. And so, of necessity, this is the top 50 (plus one) worst blogs in reverse order as voted by the internets. Feel free to compare them with 2010’s results. And the political blog voted the UK’s worst for 2013? That’s right, a blog I’m a regular contributor at has toppled Guido and assumed the cacky crown itself. Interestingly those voting for Socialist Unity overwhelmingly hailed from the left. Fratricide does it again! Norm’s Hitchcock poll: the result! It seems that the normblog poll has some life in it yet. 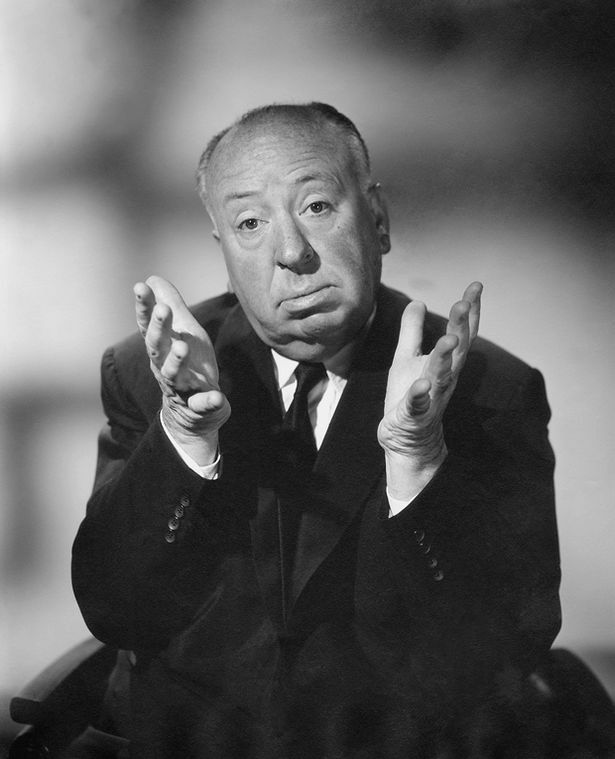 There has been a more than respectable entry this time, for my poll to discover which of Alfred Hitchcock’s films are most favoured by his fans. There were 93 entries in all, and the votes were distributed across 31 of Hitch’s movies. Where people ranked their choices, I assigned 5 points for a first-place vote, 4 for a second-place vote, and so on down to 1. Unranked choices earned the same total of 15 points, but shared evenly 3 points per film. A clear top 12 emerges as follows (the number in brackets indicating points gained). No other Hitchcock film scored 20 points or more. Here are the others that won some support: To Catch A Thief (18), Frenzy (17), Rope (17), Suspicion (16), Marnie (13), Lifeboat (12), The Trouble with Harry (12), Spellbound (9), Foreign Correspondent (8), The Lodger (7), The Wrong Man (6), The Man Who Knew Too Much  (5), I Confess (2), Jamaica Inn (2), The Man Who Knew Too Much  (2), Torn Curtain (2), Family Plot (1), Sabotage (1), Saboteur (1). What would Hitchcock have made of these results? Send us your eight choices…and/or book and luxury item. Another prize-less competition: what does Steve Bell, in the “If” episode above, owe to Clive James? Enjoy yourselves Way Down Yonder! Dave’s latest column is here.